It is quite a coup for the de Young Museum to lend its walls to a film production, but it was not to display the work of our POV struggling artist. 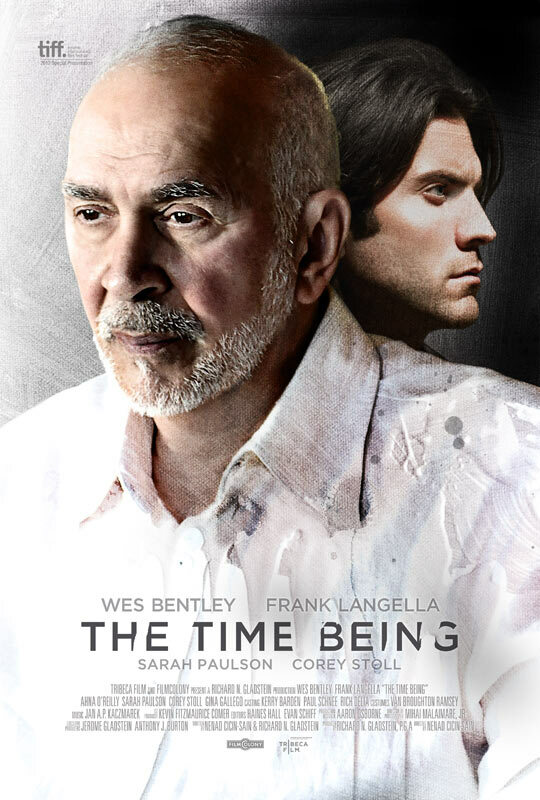 Instead, the put-upon Daniel is merely running another strange errand there for his potential benefactor in Nenad Cicin-Sain’s The Time Being (trailer here), which opens tomorrow in New York. For Daniel, the bad news is he only sold one piece during his last show. The good news is it was bought by wealthy collector Warner Dax, who could become the source of many lucrative commissions. At least, that is how his gallerist spins it. Unfortunately, meeting Dax proves to be a deflating experience. Instead of his patronage, Dax only offers a series of odd jobs requiring minimal artistic talent, such as video-taping sunsets. Daniel proceeds to upend his life catering to the strange collector, severely fraying his relationship with his wife Olivia. Yet, he perseveres in the hope it will lead to something on the back-end. Frankly, Time Being is the sort of film that might have been better realized as a short rather than a feature. Cicin-Sain clearly has a good feel for the rarified gallery world and he stages some nifty sequences of his artists at work on large scale canvases. In contrast, the scenes of domestic strife quickly grow tiresome. Time and again, Daniel seems to reassure his wife: “I promise things will get better—um, it was Olivia, right?” The film’s big pivot also feels like it comes prematurely, giving most of the third act an extended endgame vibe. Perhaps the most distinctive aspect of Time Being is the manner in which Cicin-Sain prominently incorporates the work of contemporary artists into the film. Eric Zener provides Daniel’s work and the exhibit he reluctantly visits at the de Young, while Stephen Wright provides the dramatic paintings in Dax’s mansion, whose significance will be revealed down the stretch. Frank Langella has the right imposing presence for Dax and he duly delivers in his big climatic scene (of a spoilery nature). 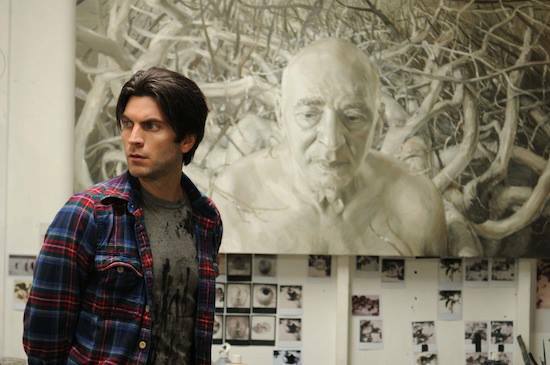 Arguably, Wes Bentley keeps up with him relatively well as Daniel, considering the flatness of his character. Essentially a two-hander, Sarah Paulson makes the most of her small but consequential supporting role. There are intriguing moments in The Time Being, but the actual on-screen drama is pretty middling stuff. Aspiring artists and collectors will probably find a visit to the museum or gallery of their choice appreciably more rewarding. For committed Langella admirers, it opens tomorrow (7/26) in New York at the Quad Cinema.